Leaving school in the middle of the day, traveling to a building miles away from school, and studying medical terminology is a normal day for some students. In the Health Science Clinical class, students are enrolled in it for two periods each day, and from Monday through Wednesday they go to a hospital. The hospital is CHI St Luke’s Health at the Vintage. Only ten students are allowed in the class and can receive admittance to collaborate with hospital staff. Committed individuals wishing to be future nurses or doctors find this class exceedingly helpful. Renny is a student who enrolled in the class. She has a great interest in pursuing the medical field. As students keep considering what they want to do in the future even after high school, they start thinking about colleges and workplaces. For example, they usually find out what specific field they want to enter and different hospital’s reputations and economic development. In order to provide proper care for patients, knowledge about hospital prices, treatment, and medicine are taken into consideration. Unlike the majority of the classes in the school this year, this class provides the opportunity to travel outside the school and receive hands-on experience from qualified officials. “Clinicals help you prepare for your future by showing you different careers within the medical field. 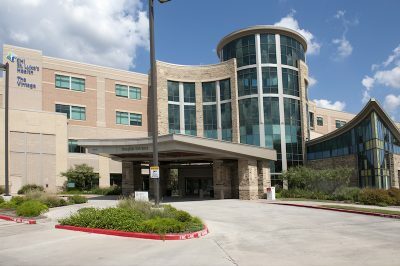 Our rotations include Labor and Delivery, ICU, Emergency Room, Med Surg- just to name a few,” Renny said. Moreover, the students enjoy having this opportunity and learning things they couldn’t have in the classroom. The entirely new real-world environment is something not available to many other students. “My favorite part of this class is experiencing the many different careers in the medical field and learning more about what the nurses and doctors do and what their role is in patient care,” Renny said. Furthermore, getting in medical classes each year is beneficial for them as they broaden their knowledge of their preferred careers. “Since we are only high school students we can’t do many hands-on activities but we can watch and shadow a medical professional and ask questions and learn more about what they are doing,” Renny said.